The biggest issue is, of course, financing. When Nissan first unveiled its IDx Concepts, we were convinced the Japanese automaker was on to something great. However, going from concept to production isn’t so simple. And sadly, Nissan’s VP of product planning recently stated that the RWD coupe simply wasn’t worth building. The reason? There isn’t an ideal existing platform and developing one from scratch for a relatively low volume model doesn't make good business sense. This is in contrast to Nissan brand chief Andy Palmer’s previous statement claiming that at least one of the two IDx concepts will make production. However, don’t consider a production-spec IDx completely dead in the water just yet. CarAdvice is claiming that yet another high level Nissan executive has just clarified things up a bit. Basically, previous reports of the IDx’s premature death aren’t entirely accurate. "It is under preparation and development. It is 50/50 until some milestone to decide (to) go," explained this executive. 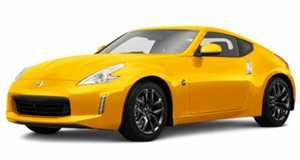 One possible solution is to utilize the current 370Z’s platform, but weight would then be an issue.